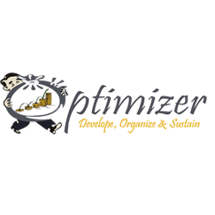 Optimizer Middle East is a professional organization located in Business Village, Deira, Dubai, UAE and active in the MENA countries. The core business of the organization encompasses services and consultancies in accounting management systems based on international standards and professional training including technical, management and accounting with the objective of developing personal skills. We have executed various professional development projects the Gulf region and North Africa till date targeting to be a leader for Training and development in the area.